It's June, and as such, it's gonna be getting really hot real soon (one would imagine..). And, while here, in it NYC, it is definitely not hot, it's certainly about to get hot on this blog! 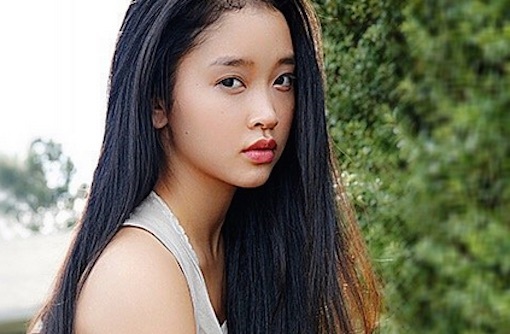 I present to you the June 2015, Hot Asian Girl of the Month: Lana Condor! This first time actress will be making her debut in the upcoming and highly anticipated (but not by Disney or Marvel): X-Men: Age of Apocalypse! 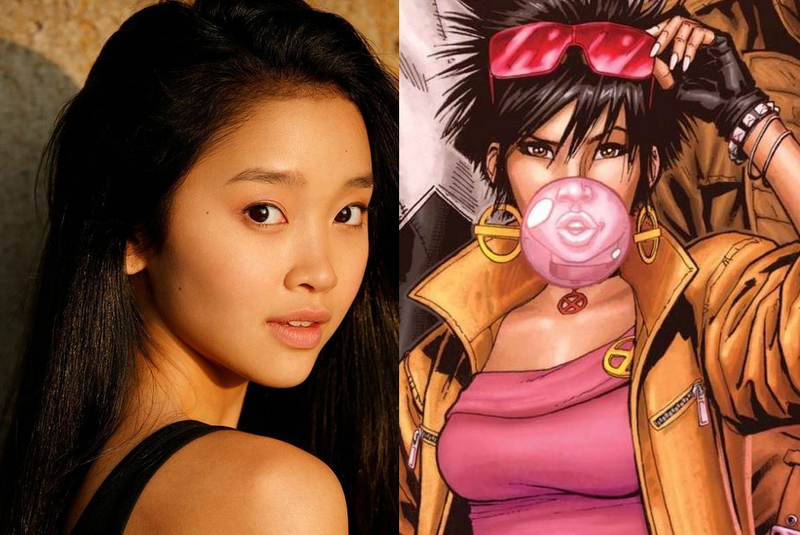 She will be playing cute X-Men superheroine: Jubilee! I think she is so adorable and gorgeous and, as such, is the perfect choice for this role! I am more excited about her being in this movie than Olivia Munn being cast as Psylocke, the news of which filled me with apathy. Or maybe even disappointment. I think Jamie Chung would've been perfect for that role. But, anyways, Lana is perfectly cast in this. And, below you can see a set pic with her and Sophie Turner, AKA Sansa of Game of Thrones, who plays Jean Grey in the sequel. It's double the yum! 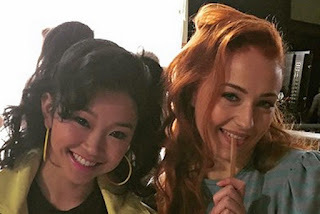 Hot Asian chick and cute redhead babe? That's ALL win right there!